We know what you're thinking, and we're thinking it too: this sounds crazy. Essentially, Apple is saying that the problem is how you hold your phone, and that the solution is to change that habit, or buy one of their cases. 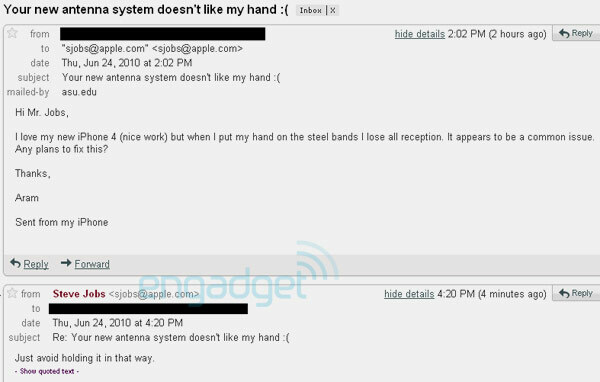 Admittedly, this isn't a problem that exists only for the iPhone 4 -- we've seen reports of the same behavior on previous generations (the 3G and 3GS), and there is a running thread about this problem with the Nexus One. While it is definitely true that interference is an unavoidable problem, we can't help feeling like this is really a bit of bad design. 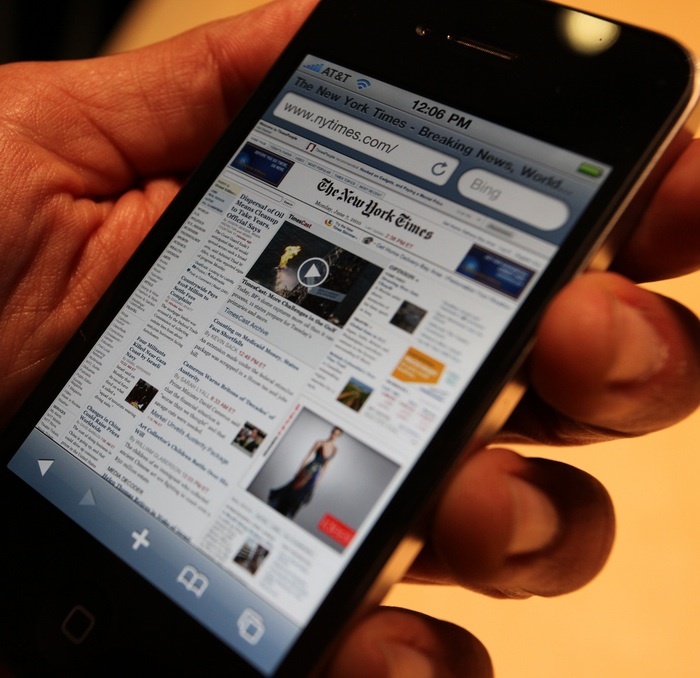 If the only answer is to move your hand, why didn't Apple just move the antenna position? What we can say without question is that in our testing of the phone, we had improved reception and fewer dropped calls than we experienced with the last generation, and we never noticed this issue. Additionally, when using a bumper we can't recreate the signal loss. So, now we have an answer... all we're wondering is whether or not the company will start handing out bumpers pro-bono to those who are experiencing problems. It certainly seems like the right thing to do. 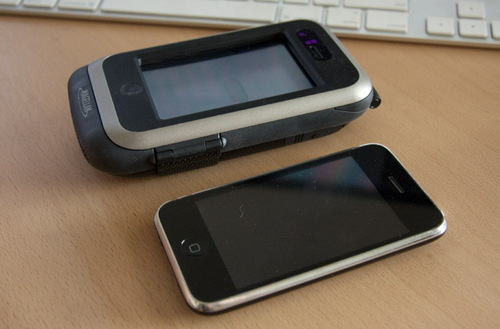 Update: To add a little perspective, check out a video from 2008 after the break showing the same issue with the now-ancient iPhone 3G (thanks Inge). Apple has confirmed that the white iPhone is delayed and will not be available until the second half of July. An unspecified challenge in the manufacturing of the handset is at the root of this unfortunate hold up. 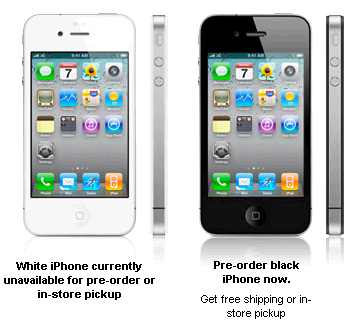 Whatever the cause, it thankfully does not affect the availability of the black iPhone 4 which is expected to launch June 24th. All you folks camping out in front of Walmart hoping to score a white iPhone should either change your color preference pronto or pack up your gear and go home. 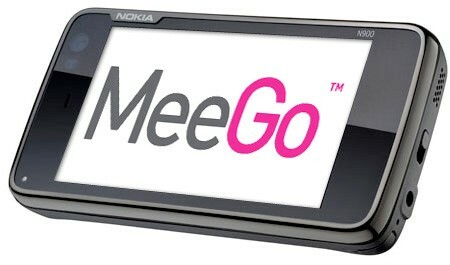 We've already gotten an early peek at what's in store for MeeGo on handsets courtesy of some leaked UI guidelines, and it looks like folks now won't have to wait too much longer to try it out for themselves -- Nokia has confirmed that the pre-alpha release will be available on June 30th. That will be followed by the "fully productized" version sometime in October, which should also coincide with the release of some actual MeeGo-based handsets. No further details beyond that just yet, but N900 users should be the first to get a taste of a true MeeGo handset experience -- despite Nokia's lack of official support. 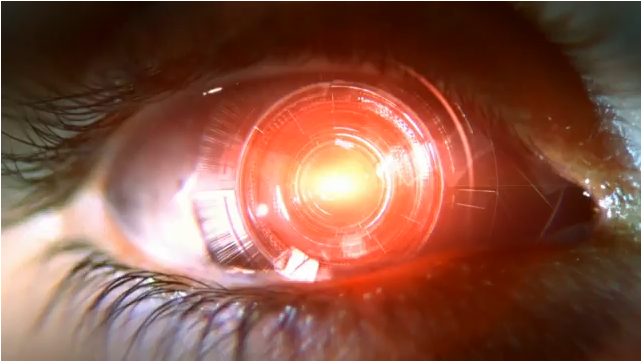 Remember those leaked scripts for the Droid X commercial? Well Big Red has just posted a portion of one of them to its YouTube channel. 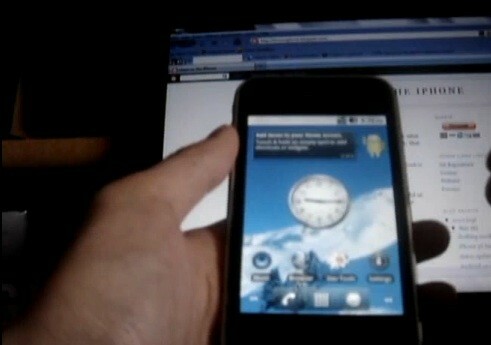 Being a teaser, it doens’t really give us any information, though it does indicate the handset will be launching in July. You know, just like we said. 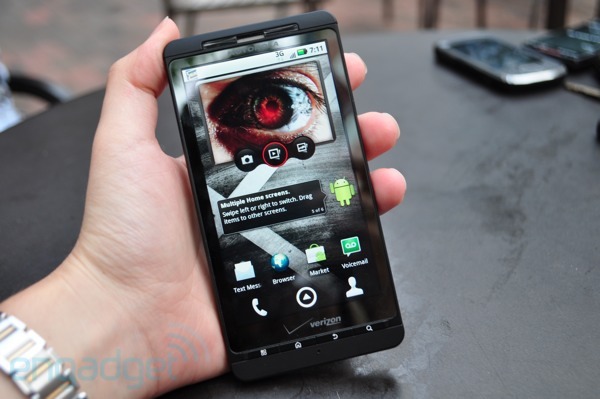 We cannot wait to hit up the VZW/Motorola event this Wednesday to (hopefully) get all of the details. Hit the jump to check out the ad! While current Android handsets and Windows Mobile phones of yore boast of their prowess, by proclaiming the heftiness of their internal RAM, Apple has been silent on the internal memory included within the various generations of the iPhone. 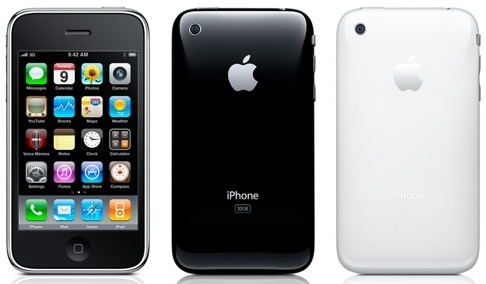 Both the original iPhone and the iPhone 3G shipped with a meager 128MB RAM while the 3GS doubled that capacity with a respectable 256MB. The iPhone 4 was presumed to share the same 256MB capacity; a teardown analysis of a leaked prototype uncovered a 256MB DRAM from Samsung. Prototypes may provide a glimpse of an upcoming product, but their specs are not always written in stone. According to information disclosed by Apple at a WWDC session last week, the latest version of the iPhone will not feature 256MB of RAM, but will instead boast 512MB of RAM. 512MB sounds good to us. How about you? It's a color we know so well, but it looks like Microsoft would like to dissociate itself from its RROD heritage, or perhaps just ran out of red LEDs: the new Xbox 360 only has a green ring around its power button, so even if you wrap the thing in a blanket and set it on fire, it won't be flashing red to tell you how it feels. 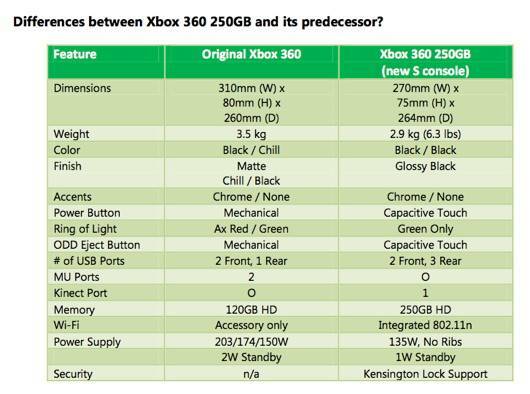 This was unearthed in a spec sheet that Joystiq received from a tipster, along with all the other fancy specs you can see above. 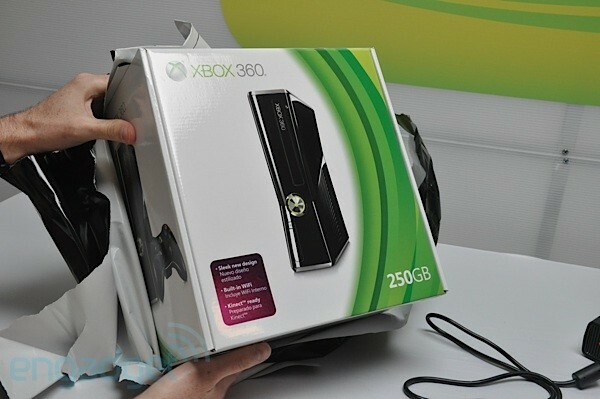 Overall the console is 17% smaller, which really goes to show that Microsoft was much more interested in noise and heat reduction than sliding the new 360 into a smaller crevice of your home entertainment center. 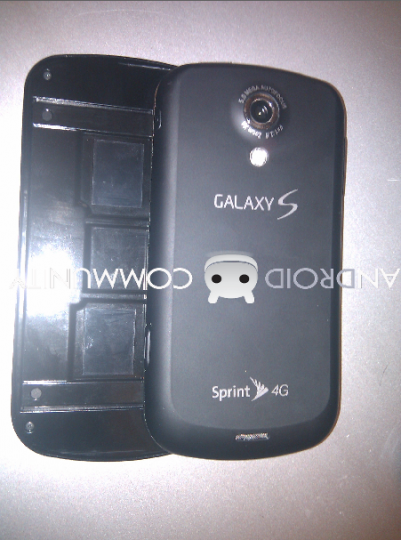 It seems that there was a bit of doubt surrounding yesterday’s leak of the Sprint-bound Samsung Galaxy S Pro. 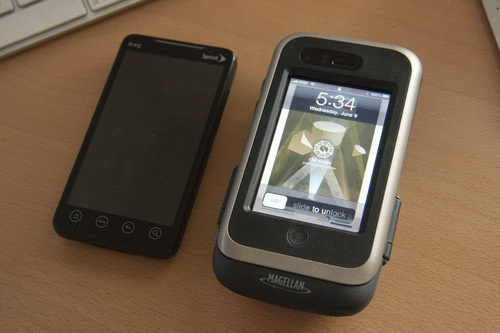 Well in order to put the debate to rest, two new images of what’s shaping up to be a really nice Android handset. They don’t reveal a whole lot of new information, but we can clearly see that there’s an LED flash underneath the 5 megapixel camera (something which the regular Galaxy S doesn’t have) and that the phone does indeed carry both Galaxy S and 4G WiMAX branding. 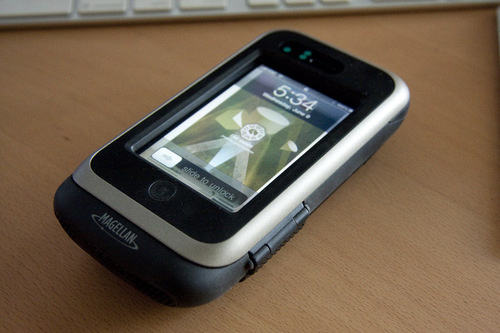 For those of you tracking every single detail of Apple’s “we-invented-the-remix” iPhone 4, we have some high resolution shots of the display all ready to go courtesy of Robert Scoble. 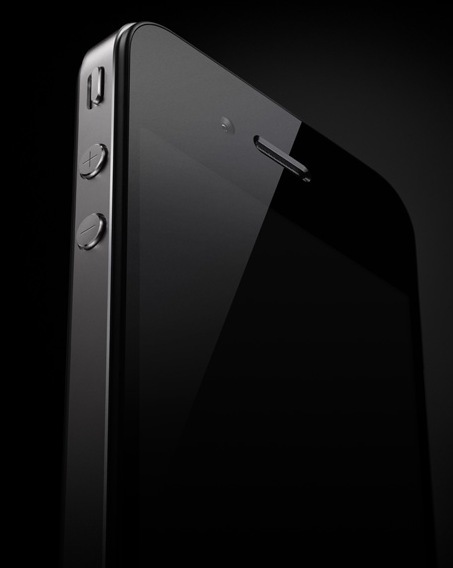 It is actually pretty mind-blowing that the pixels are so amazingly tiny — we can’t wait to get one in our hands. How about you? 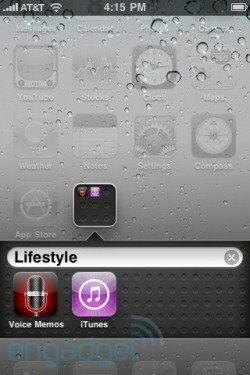 Want to get your hands on an iOS 4-equipped device now without being a registered Apple developer? As a number of readers have pointed out, it seems yesterday's gold build release works on any applicable iPhone / iPod touch whether or not its UDID has been sent to the dev center. Now that the previous restraint has been lifted, the only requirement now is a copy of iTunes 9.2 -- currently for Macs only and still blocked by the developer gate, but once you manage to obtain the appropriate files, the only thing in your path is time itself. Sure enough, we just got through installing the build on an unregistered iPhone without a hitch. Details available via Gumball Tech, and please, don't forget to back up your data ahead of time. In less rule-abiding news, the not-quite-surgical hand of the jailbreak community has taken a gander at the gold. A developer known as msft.guy, whose previous credentials includes recently-released binary "which enabled blacksn0w unlock port for iPhone 3GS on iOS 4 Beta 4" according to Redmond Pie, has updated PwnageTool for yesterday's update. As always, proceed with that one at your own risk, and if you're curious but hesitant, the ever-reliable iPhone Dev Team promise a full jailbreak / unlock suite later this month. Either way, video proof is available after the break. Sure, we might be seeing some big changes to the iPhone tomorrow, but what if you could see some big changes on your very own iPhone, today? Well, you can if you're brave enough to try installing Android on your iPhone, which we've seen done before, but not with Android 2.2 (otherwise more deliciously known as Froyo). Still not convinced that such a thing is possible? Then head on past the break for the video evidence, and hit up the link below for the complete, not-for-the-faint-of-heart instructions for performing the feat yourself. P.S. Of course, "runs" isn't exactly the same as "runs well." The iPhone in the video apparently got noticeably hot after five minutes of use, and there's some issues with Android not recognizing little things like WiFi or the phone's GPU. HP CEO Mark Hurd certainly stirred the pot yesterday when he said that “we didn’t buy Palm to be in the smartphone business” and that puring money into developing webOS smartphones “doesn’t in any way make any sense.” Well just like we predicted, HP’s PR machine went into damage control mode this evening. Here’s the statement they just sent out clarifying what it was Hurd meant. We’re certainly glad that’s settled. Steve Jobs didn't seem too upset over the story of the lost / stolen iPhone 4 last night at D8, so we're sure he won't mind that yet more parts for his next-gen phone have leaked out -- this time PowerBookMedic.com has scored the white version of the casing. As usual, the Engadget staff is now in a fierce and somewhat disturbingly violent debate over the relative style merits of black and white iPhones, so don't look for us to get much done for the rest of the day. Many more pics at the source link. 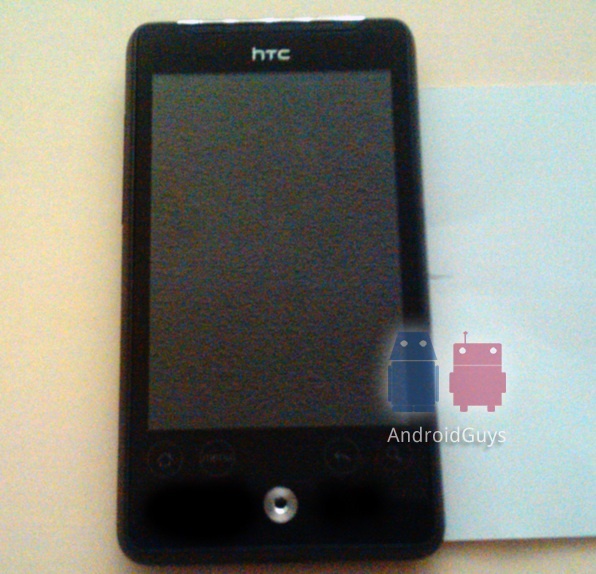 While it could just as easily be a Photoshop job involving a Droid Incredible and an EVO 4G, let’s assume for a moment that what we’re looking at is the AT&T-bound HTC Aria. Shot up by one of AndroidGuy’s “pretty solid” tipsters while situated next to a business card to give us an idea of the overall size of the device, it’s said that the Aria will be the “smallest Android device” yet with a display under 3″. Other alleged specs are said to include a 5 megapixel camera, optical trackpad, microUSB port and a 3.5mm headphone jack. Of course previous rumors would see the Aria come complete with a sliding QWERTY keypad, but as we said above, let’s assume this is legit. Nothing fancy, but at least it runs Android 2.1 with Sense UI and shows more promise that AT&T’s current Android offering which consists of nothing more than the Motorola BACKFLIP. Dying to know more? Apparently it’s due for an official outing on June 7th. A poor choice of days, we know.